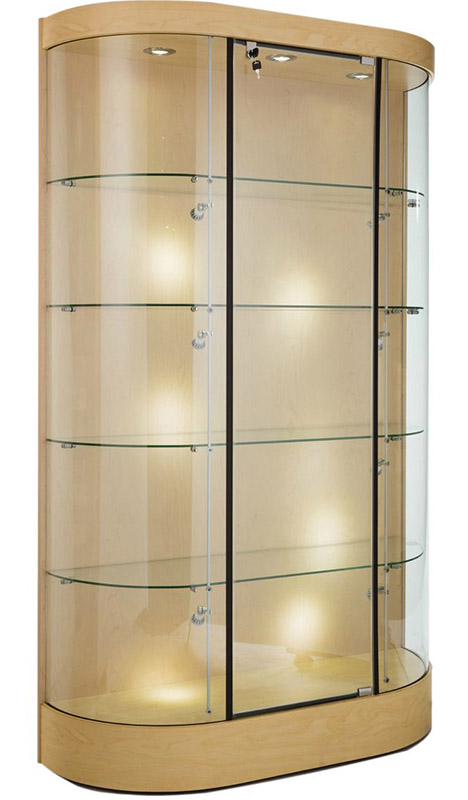 Curved Wall Display Case - Free Shipping! 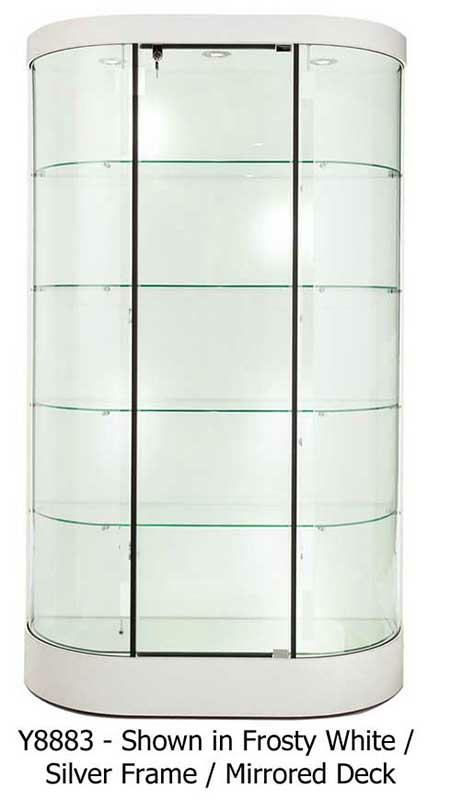 Our Curved Wall Display Case is perfect for contemporary lobbies and reception areas. Ideal for product display and for showcasing trophies and awards. Commercial grade construction. Includes lights inside top canopy for accent lighting. Ships fully assembled! Shpg. wt. 333 lbs. PRICE INCLUDES SHIPPING! (Truck shipment - See Terms & Conditions). Please allow 3-4 weeks for delivery. * Three LED top lights. * Four, 1/4" thick adjustable glass shelves. Curved Wall Display Case w/ Optional LED Spotlights is same as Y8881 but also includes eight side lights. 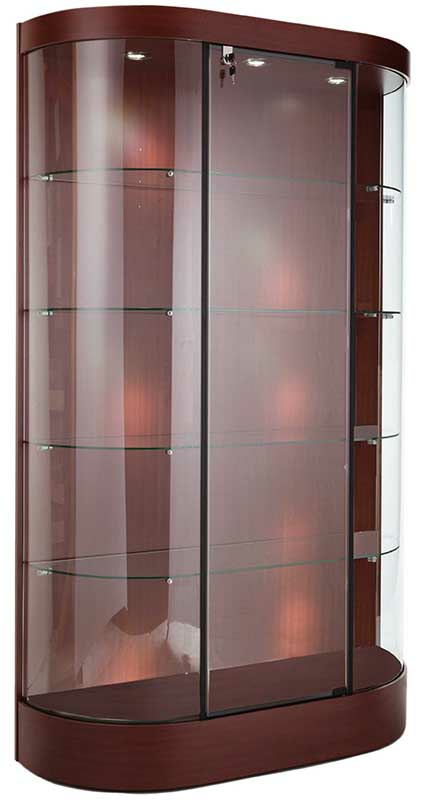 Constructed of tempered glass, with laminate top canopy and pedestal base. Includes three, LED top lights, four adjustable 1/4 thick glass shelves, laminate deck, concealed casters and electrical cord with switch. Top canopy is 3". 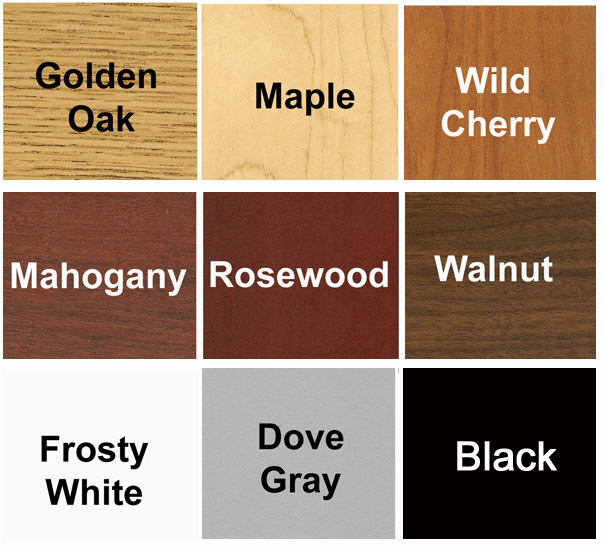 Bottom cabinet is 6-1/4". Glass height is 65". 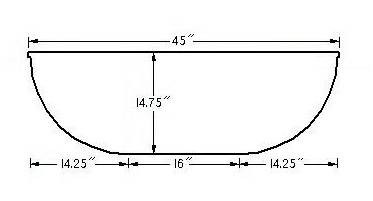 Measures 45"W x 15-1/2"D x 74-1/2"H overall. Shpg. wt. 345 lbs. Ships assembled. PRICE INCLUDES SHIPPING! (Truck shipment - See Terms & Conditions).